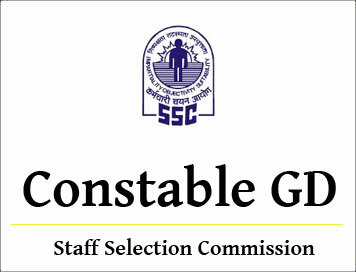 1.Online applications for the Constable (GD) in CAPFs, NIA, SSF and Rifleman (GD) in Assam Rifles Examination, 2018 are currently being received by the Commission with effect from 17-08-2018. The Commission has hosted this application on its new website, and that during the initial few days, there were some teething problems, wherein it was observed that the new website of the Commission was running slow, consequent to which some candidates reported inconvenience in submitting their online application forms. Therefore, keeping in view the difficulties faced by some candidates, the Competent Authority, has, in the overall interest of the candidates, decided to extend the closing date for filling up of online application forms for the said examination from 17-09-2018 to 30-09-2018 (5.00 PM). 2. As regards payments made through challan for the said examination, it is informed that in those cases where the challans have been generated by the aspiring candidates up to 5.00 P.M. on 30.09.2018, they can make the payment to the designated Branches of SBI using the said challan, within the working hours of the Bank up to 03.10.2018. 3. It may be specifically noted by the candidates that no further extension of time will be given beyond 30.09.2018 (5.00 P.M.) for submission of online application forms for the said Examination.